Duration:3 & 2 years respectively. Duration:2 years + 1 year IT. five (5) O’L Credit in English language, Biology, Chemistry, Mathematics, Physics and one other subject from Geography, Economics, Religious Studies and national Language. and two passes in Physics or Chemistry and any other Subject. ii. We are neither affiliated with any institution nor any college affiliated with us. iii. Our Gradates will be mobilized for NYSC scheme after completion of their HND program. viii. 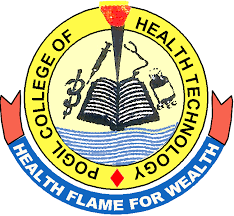 Admission into programmes in POCHTECH is either through JAMB or Direct Entrance Exam.